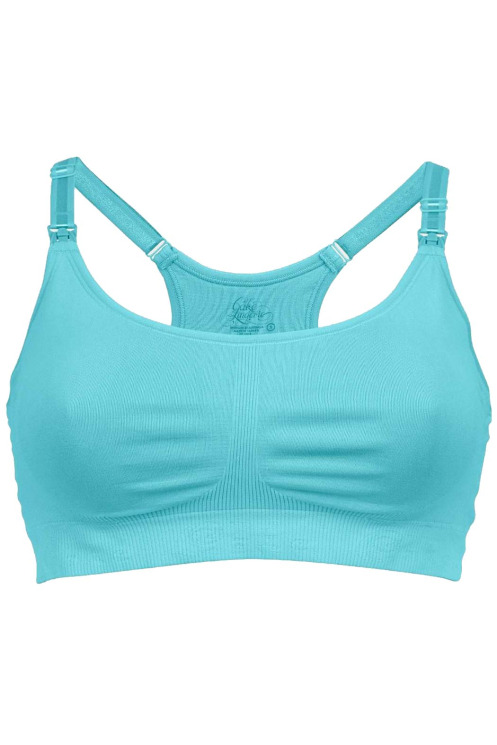 Luxury seamless stretch Cotton Candy Nursing Bra from Cake Lingerie has comfortable, adjustable t-back. Fabric molded cups for smooth seamless look.Great bra style for maternity, labor & breastfeeding. Wear as medium support day bra & for sleeping with additional side panel support ribbing. Flip clip top cup nursing openings.